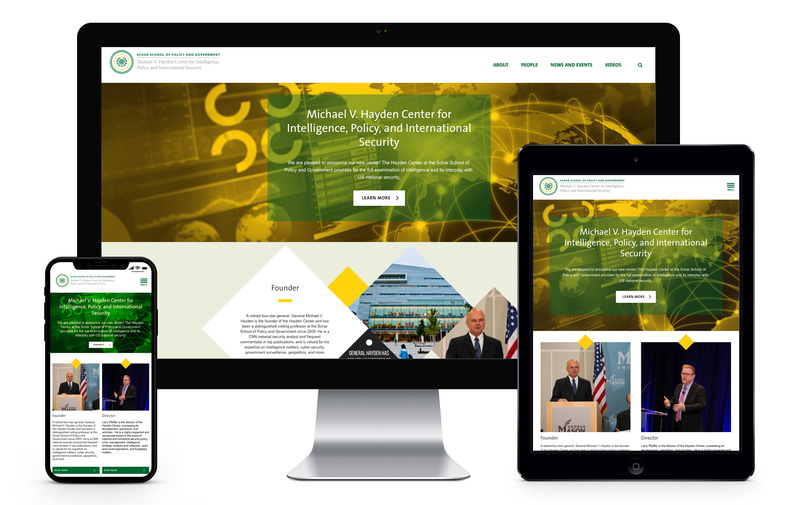 The Michael V. Hayden Center for Intelligence, Policy, and International Security is a new center within the Schar School of Policy and Government at George Mason University. Bluetext built a website for the Hayden Center leveraging the design and architecture from the Schar School website, creating a platform to direct parties interested in the new center for content such as recent news and upcoming events. With the Hayden Center, cutting-edge campaigns means reach to its customers. We can do the same for you.